Convenient substitute for conventional emergency lights. Powered by a LiFePO4 lithium battery and comes with a weatherproof IP65 rating. Suitable for buildings such as warehouses and factories, EMFLOODWPL delivers exceptional photometric performance for large spaces. 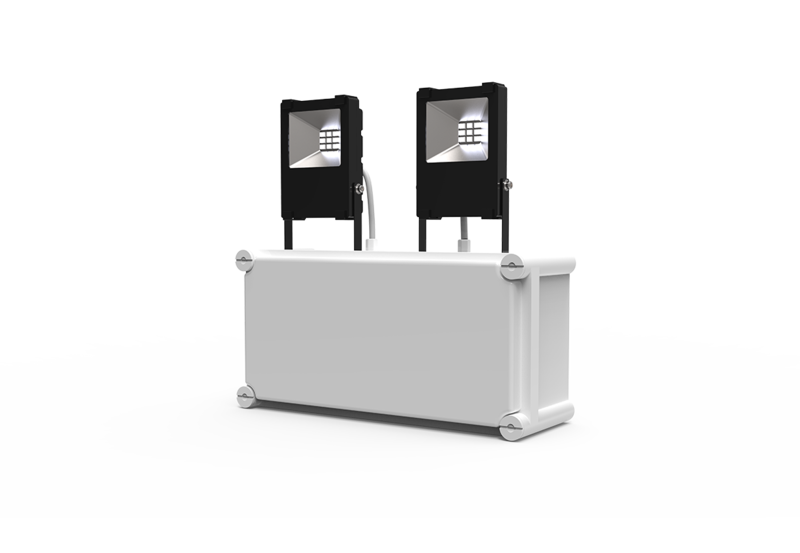 The 2x 3W emergency weatherproof floodlight is a surface-mounted light with a large terminal block for fast installation and easy maintenance. It provides indirect emergency lighting for high ceiling areas.